In the days that followed, flood waters were replaced by floods of citizen-volunteers who gathered spontaneously in affected suburbs to assist with the clean-up. Friends, relatives, work colleagues, distant acquaintances and complete strangers came to the assistance of those who had been inundated, making the burden of the disaster one that was shared. 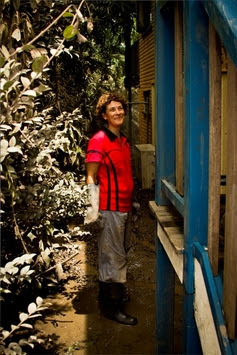 The mobilisation of what became known as the ‘mud army’ remains a source of pride and a popular narrative for those who experienced the Brisbane 2011 flood; a symbol of the resilience of the city and its residents’ ‘unique’ determination to recover from this event as a community rather than as individuals. This spontaneous community response to the misfortunes suffered by many Brisbane residents during the ’summer of sorrow’, and the glowing popular commentary that has followed in its wake appears to confirm policy makers assumptions about the important benefits that community based responses contribute to the task of crisis management. These expressions of neighbourly solidarity are frequently discussed as positively complimenting the more ‘top-down’ and impersonal “command and control” responses to disaster that are characteristic of state disaster management efforts. 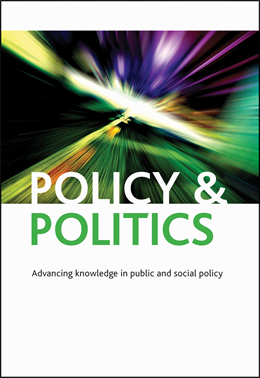 Our recent contribution to Policy and Politics entitled Community Resilience and Crisis Management: policy lessons from the ground calls for deeper critical scrutiny of some of these claims, however. To substantiate this argument, we discuss findings from a study that examines community resilience during Brisbane’s flood crisis from a unique ‘insider’ perspective. Our discussion draws on ethnographic observations of community-initiated disaster response activities that were gathered by one of the authors of this piece, herself a flood-affected resident, in combination with data generated from more formal interviews conducted with a variety of stakeholders who also experienced community recovery activity as it took shape in the author’s own suburb. Our analysis of this material, is designed to uncover the “lived actualities” of community disaster response as it is experienced across short- and long-term phases of disaster recovery. We demonstrate where and how particular sorts of community initiatives were understood to have value for flood-affected people and where and how they were recalled in a more problematic frame. We then situate these localised findings in dialogue with broader governance, public policy and crisis management literature to consider their pertinence to contemporary policy debate on disaster resilience. Second we consider the impact of the mass-volunteer “mud-army” that came to the assistance of flood affected householders. While many informants expressed gratitude for the generosity and spontaneity of this presence, this was balanced with more critical reflections. Our informants also recalled the stress in managing and coordinating the influx of eager and sometimes overzealous volunteer helpers. These observations point to the need for more official coordination of the potentially valuable ‘surge capacity’ of volunteers to control for the possibility that they may do more harm than good. Third we investigate how community-based organisations were involved in the delivery of material relief to flood-affected individuals and households. Here we uncover a story of remarkable community generosity as local charity groups and service associations worked to support those in their suburbs made homeless by the disaster and struggling to rebuild possessions. While much of this assistance was gratefully received, we also gathered testimony which suggested that deserving recipients may opt not to avail themselves of disaster relief from these types of agencies because they feel ashamed about ‘taking charity’, are uncomfortable receiving assistance from religious organisations, or fear they are depriving those who are more deserving. These are unique insights which contradict the widely held assumption amongst crisis response policy-makers that informal channels of material disaster relief offer more efficient distributive networks than state-based ones. Finally we investigate the operations of the informal community evacuation centre that went on to become a flood recovery centre catering to the needs of flood-affected residents for roughly 18 months following the disaster. We contend that the spontaneous emergence of a community evacuation centre operating in close vicinity to residents displaced by the flood disaster was an example of community resilience working well. This contrasted positively with informants’ assessments of remote, state-run evacuation centres. By contrast, we show that the community’s efforts to run a longer term recovery facility did not enjoy the same universal type of endorsement. These more divided assessments are illustrative of broader post-crisis trends which tend to see communities that are united by disaster dissipate as memories of crisis become more distant and the sense of emergency begins to wane. We conclude this discussion by reflecting on the paradoxical ways in which our findings intersect with the community resilience narrative as it is invoked in crisis management policy. While our study illustrates the positive ways in which personalised community based initiatives are valued by disaster-affected people we show these assessments to be far from unanimous. Conversely, the impersonal nature of the state can be seen in the same light; problematic when it is too distant, yet beneficial when there is a need for detached forms of policy implementation. Ultimately our study provides a first step towards better appreciating the complexity of community capacity in crisis. The challenge, as we see it, is to strike a productive balance between personal and impersonal, state and non-state crisis responses that better meet the practical, psycho-social and emotional needs of disaster-affected populations.